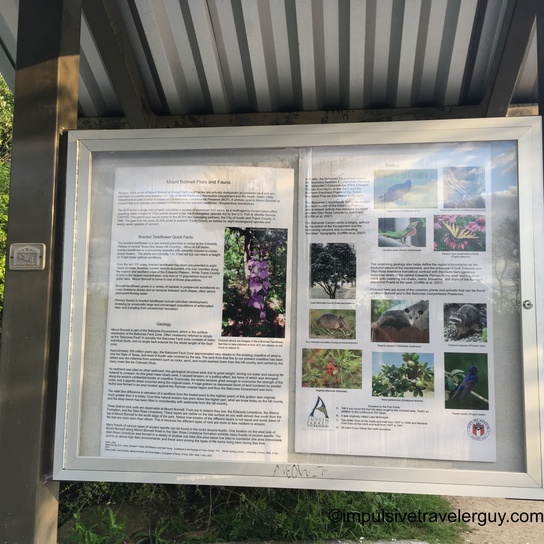 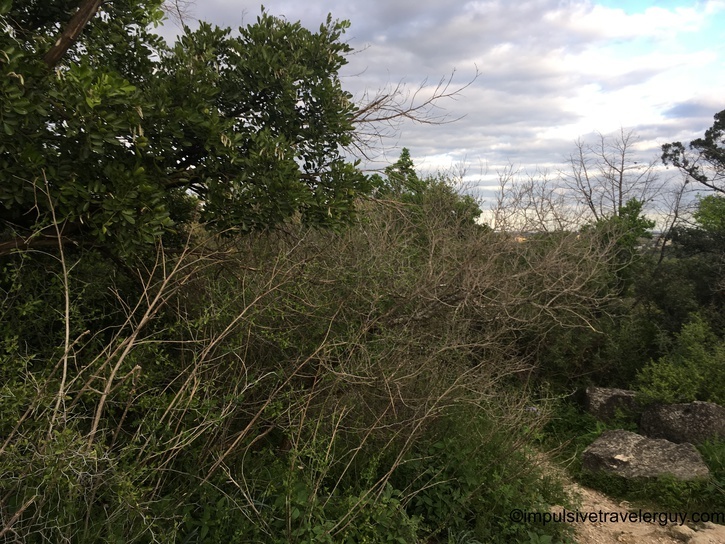 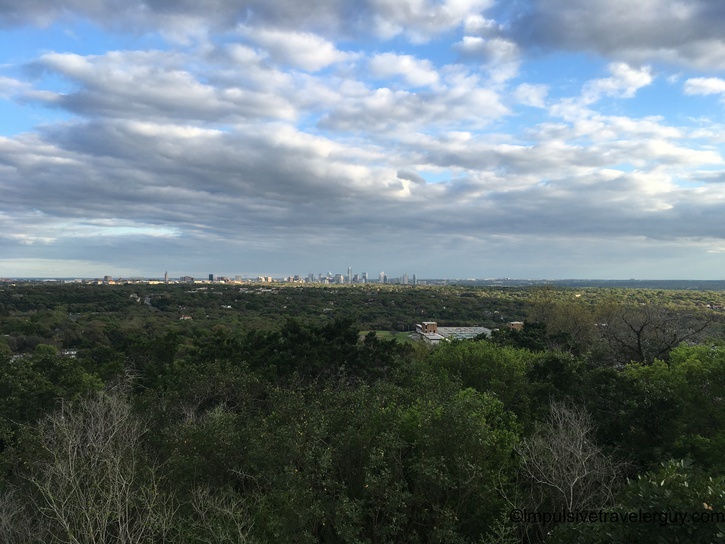 Austin does have a lot of natural beauty and it can be nice to explore when it is not super hot. 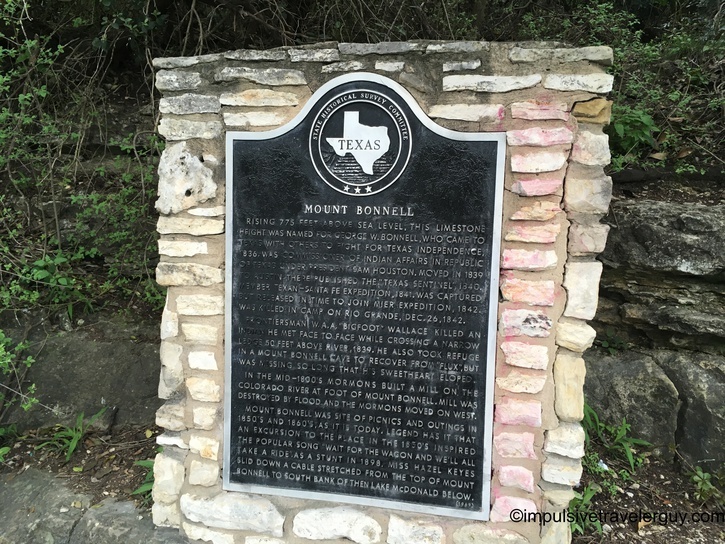 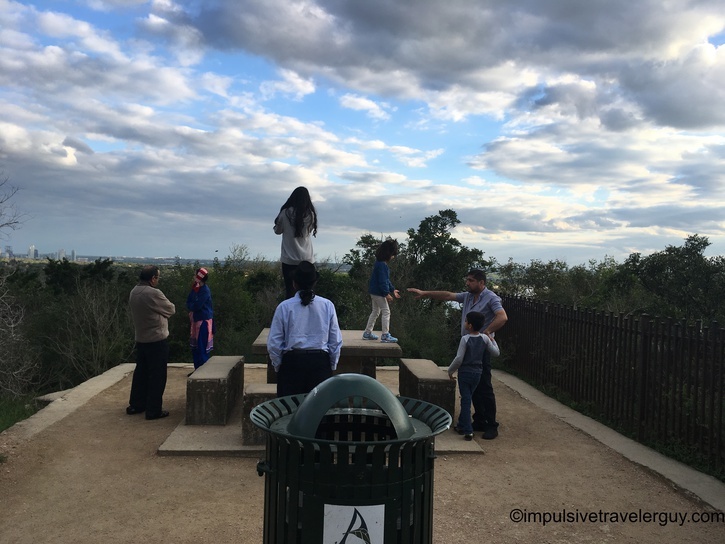 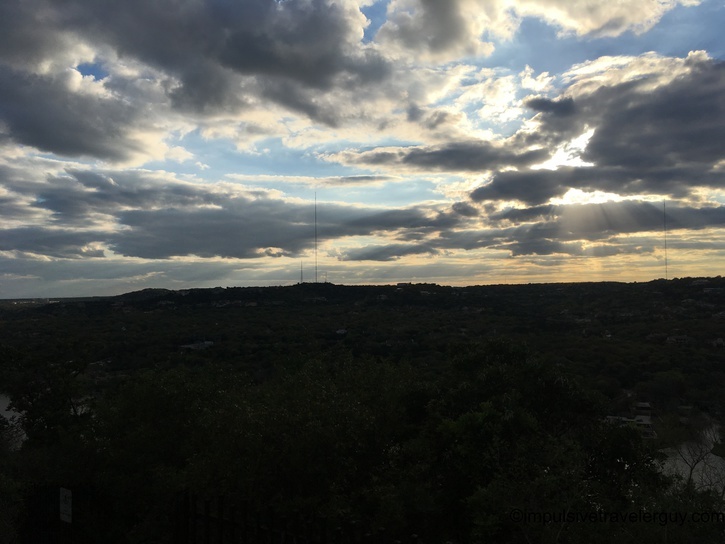 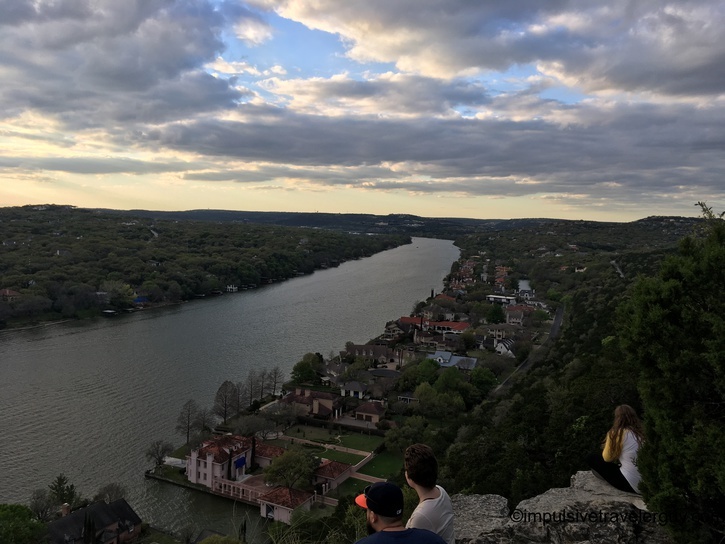 Victoria suggested we hike up Mount Bonnell. 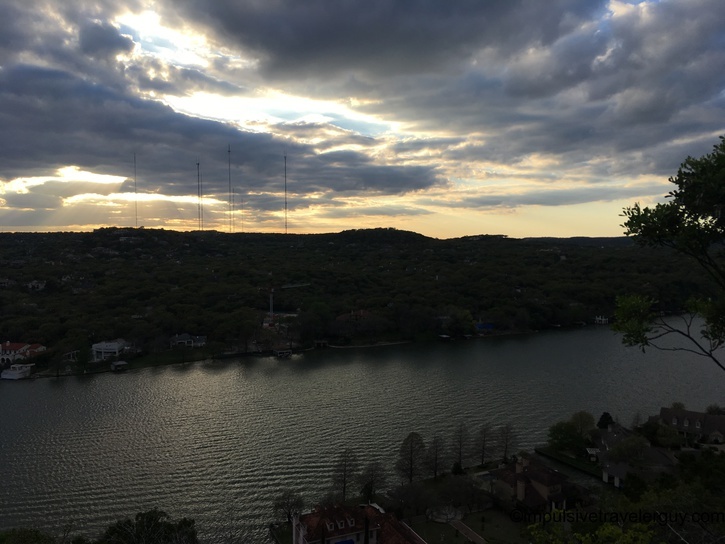 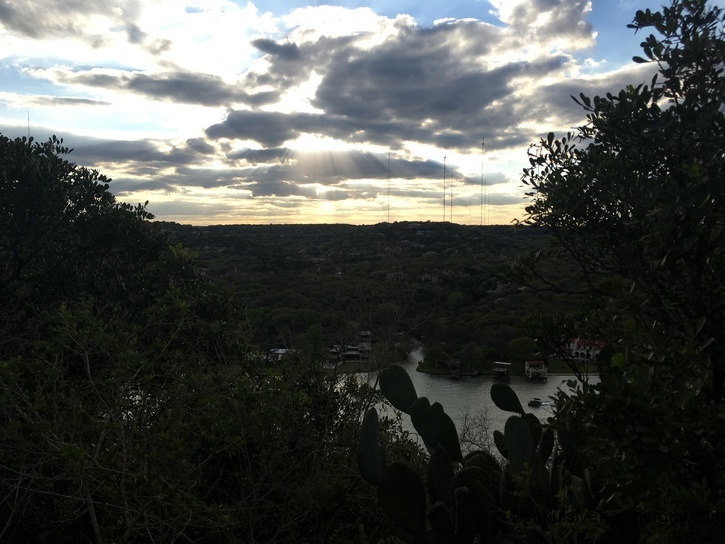 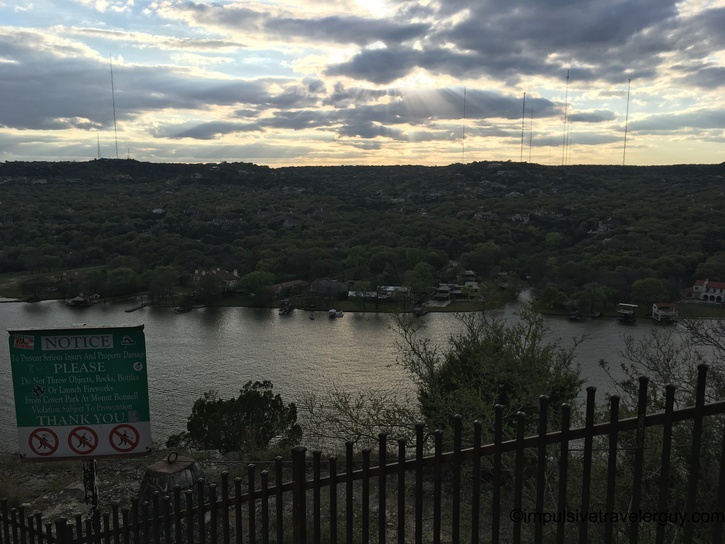 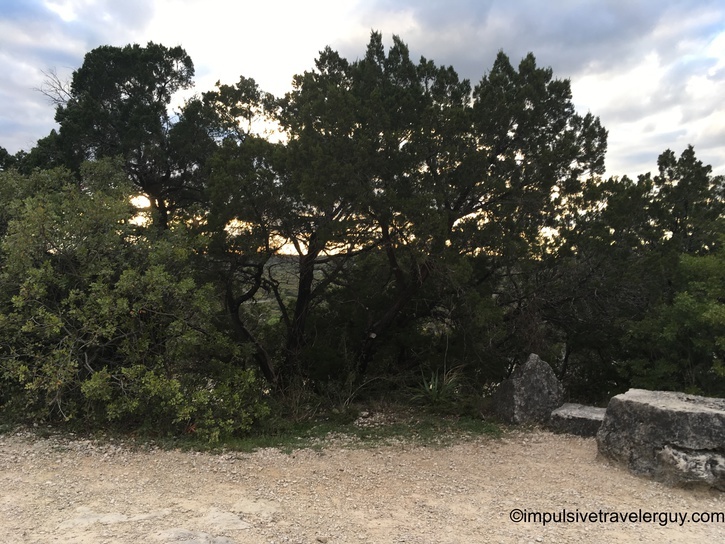 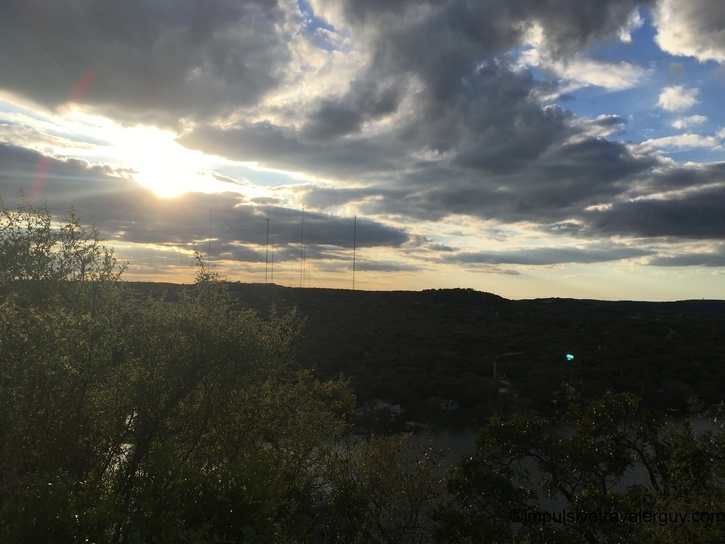 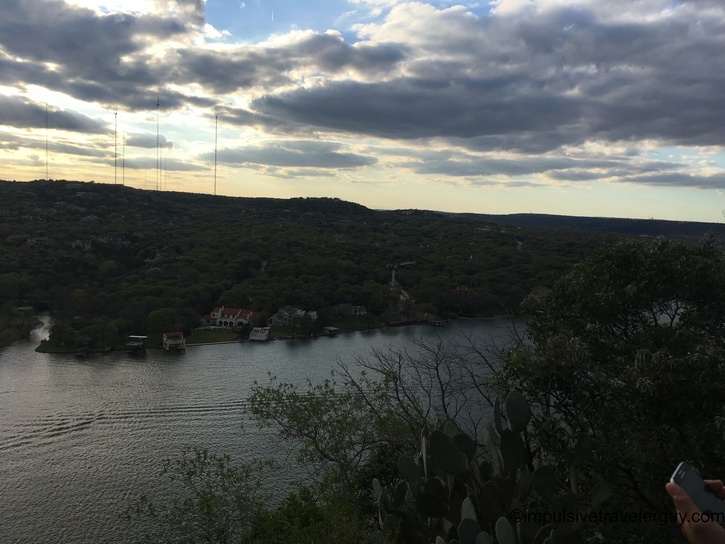 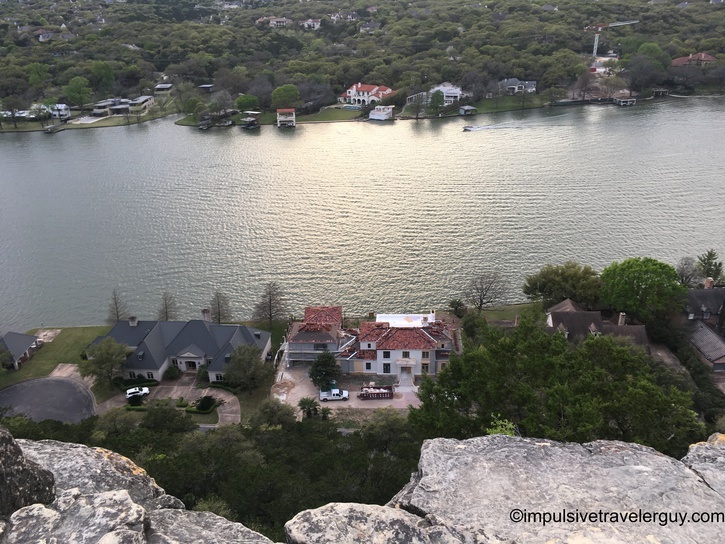 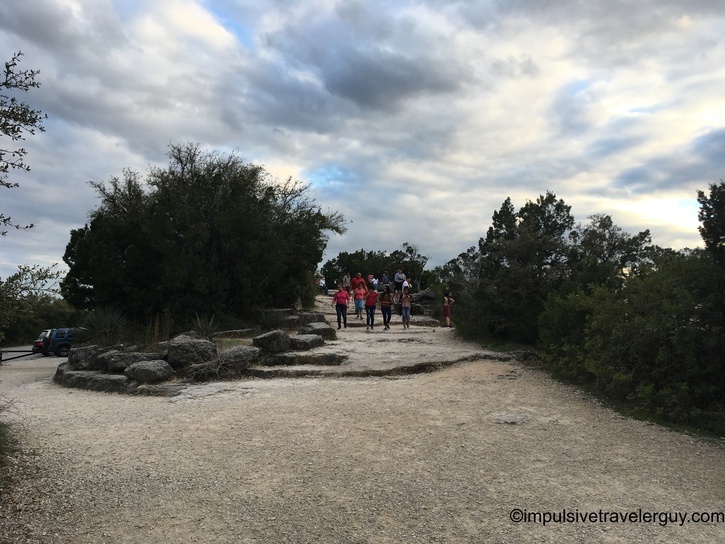 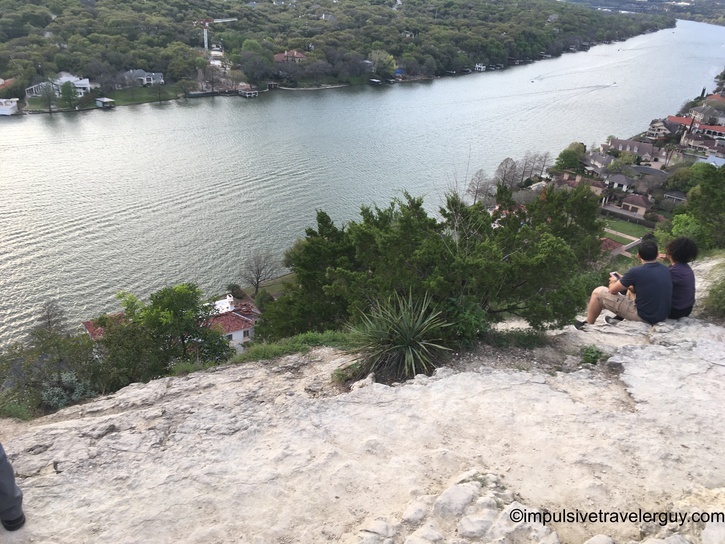 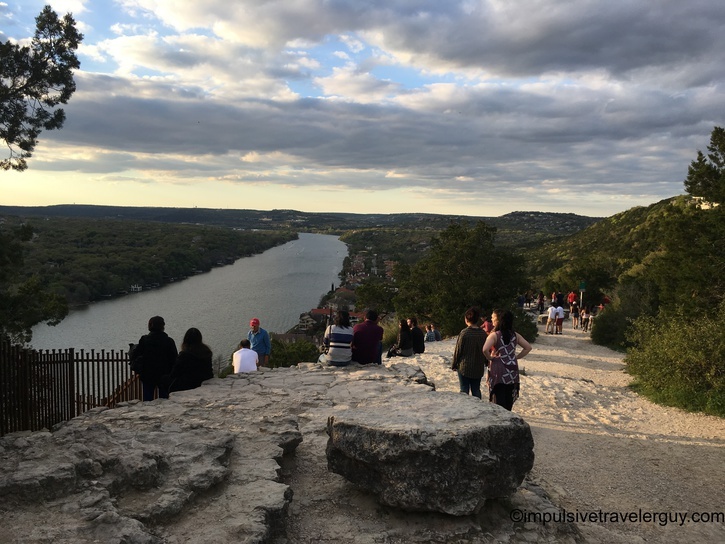 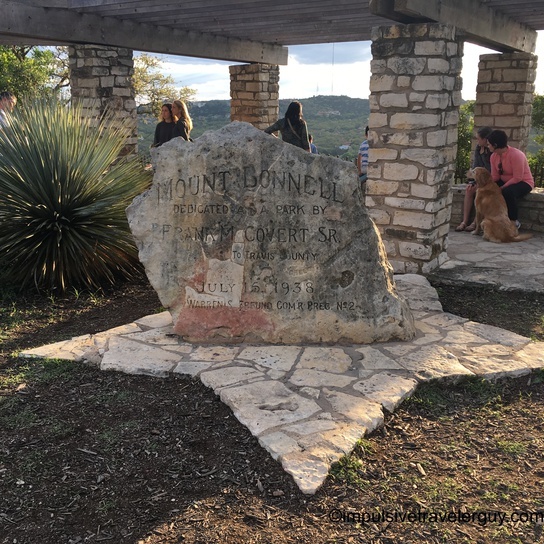 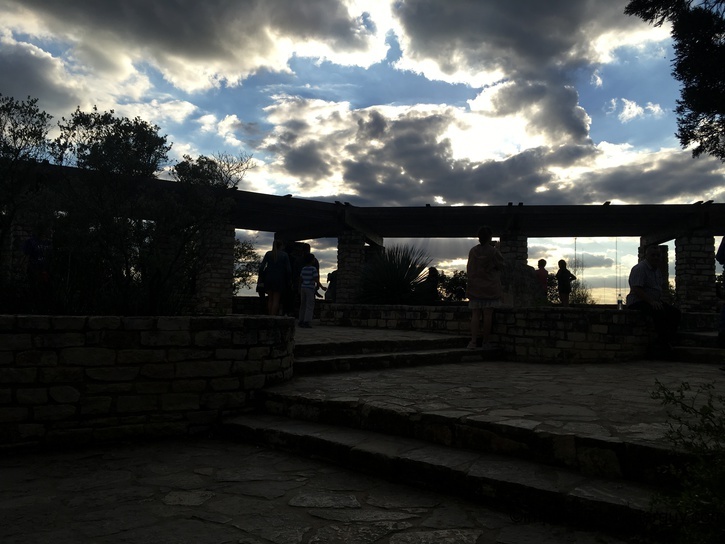 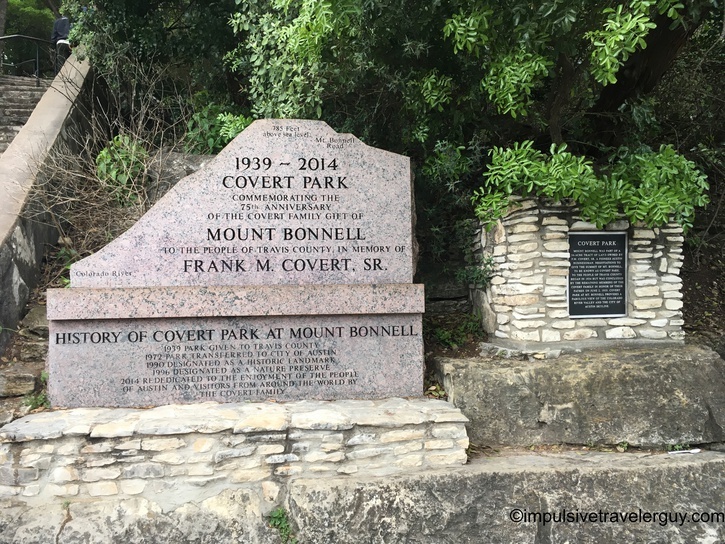 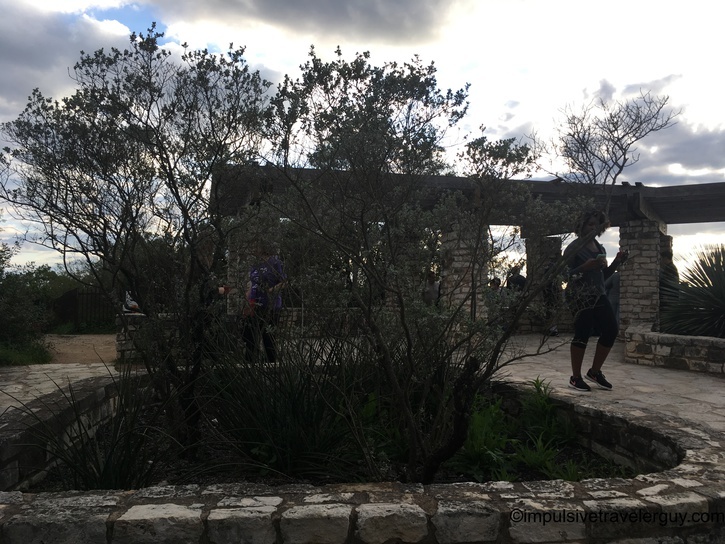 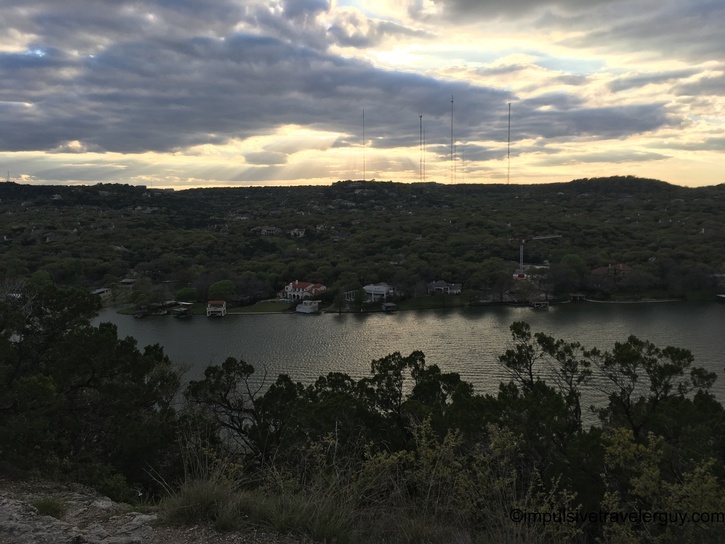 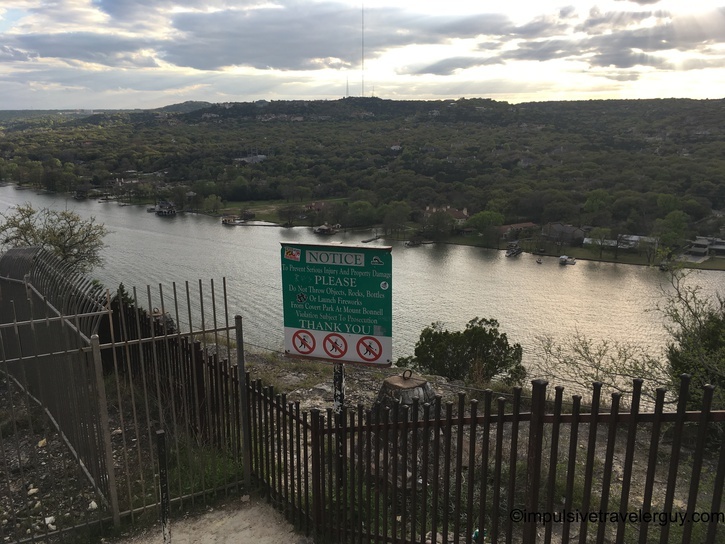 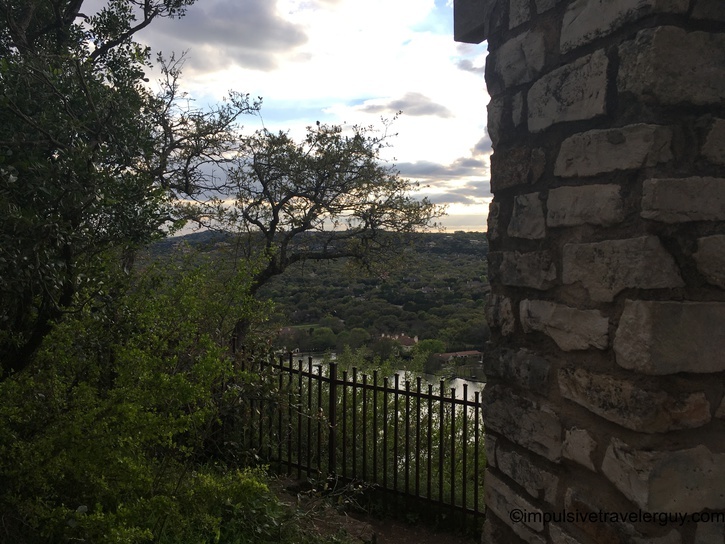 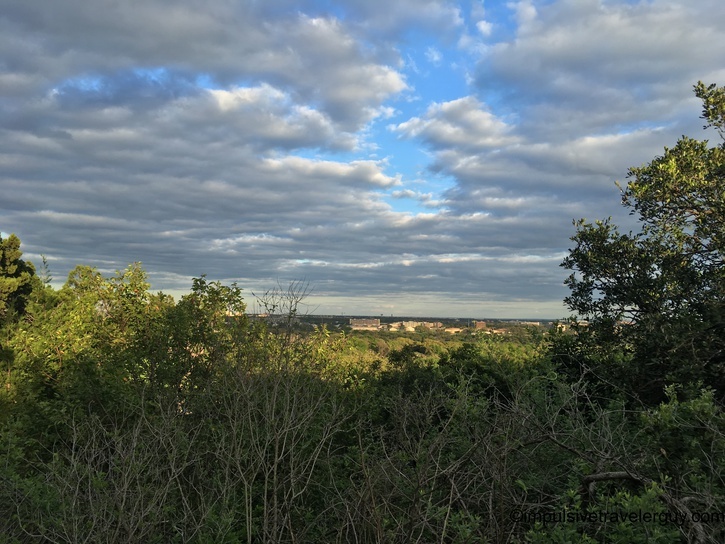 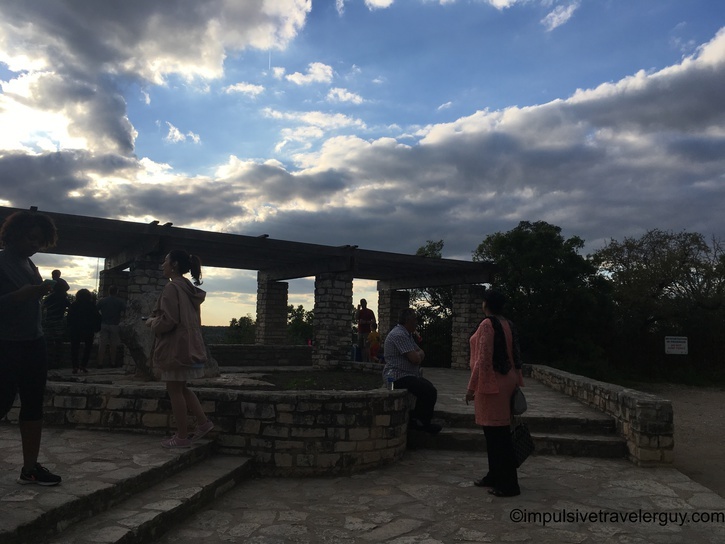 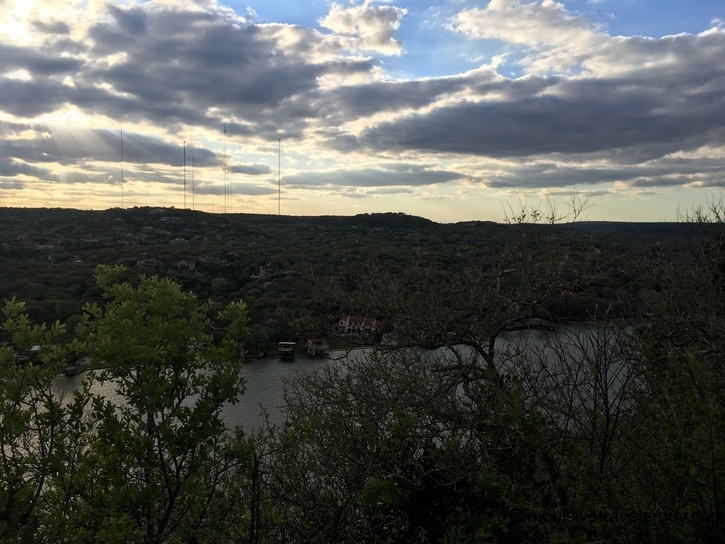 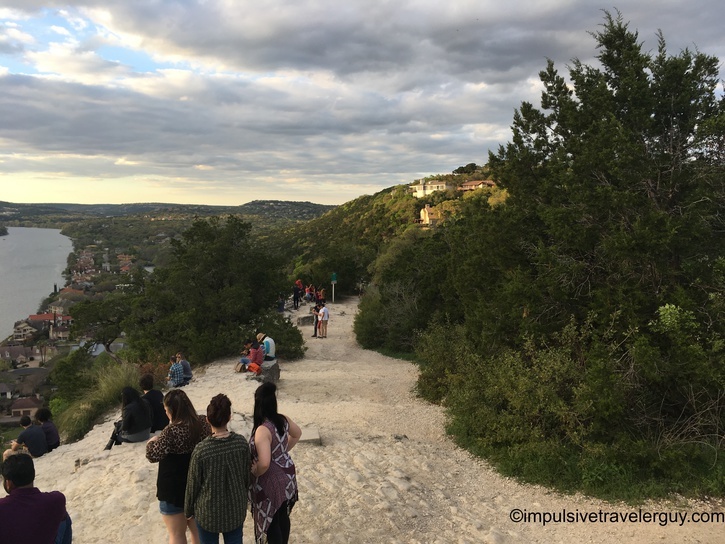 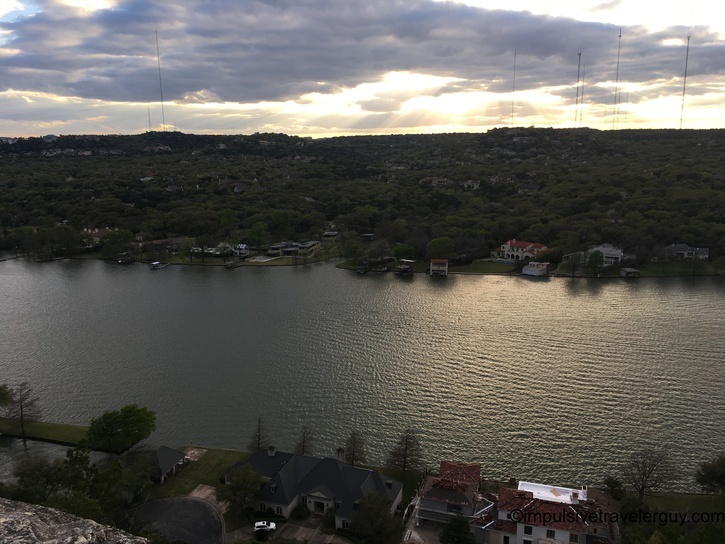 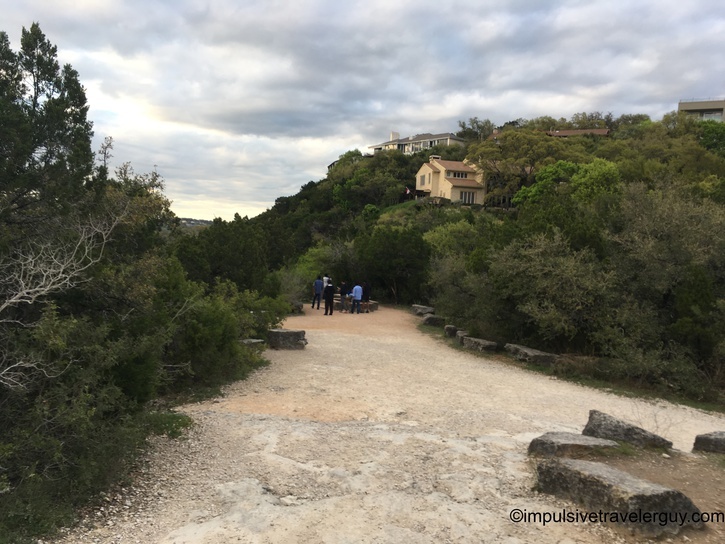 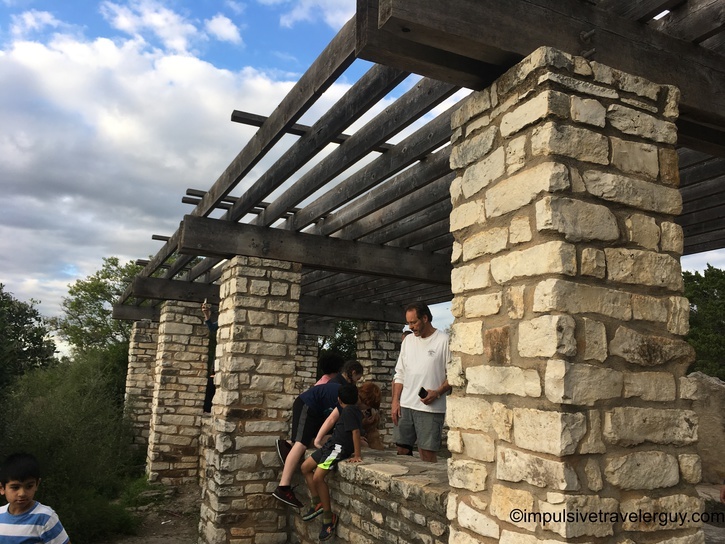 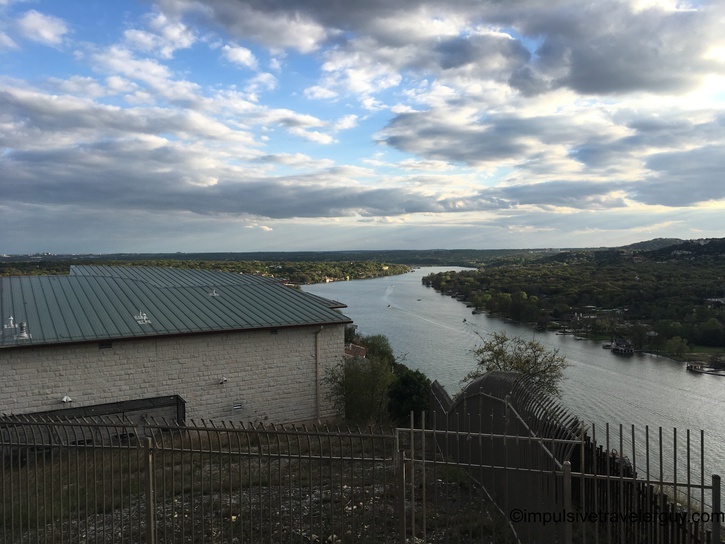 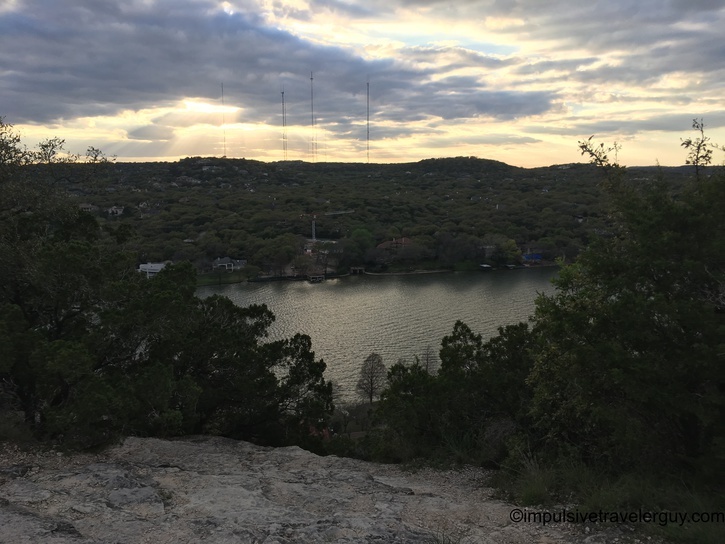 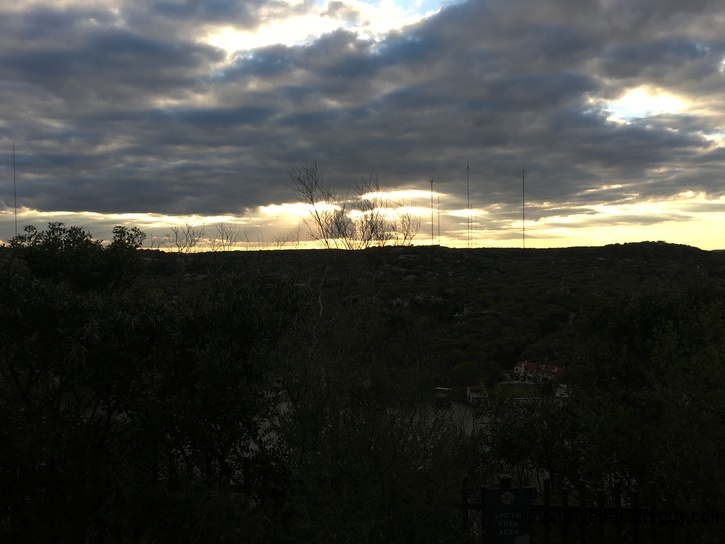 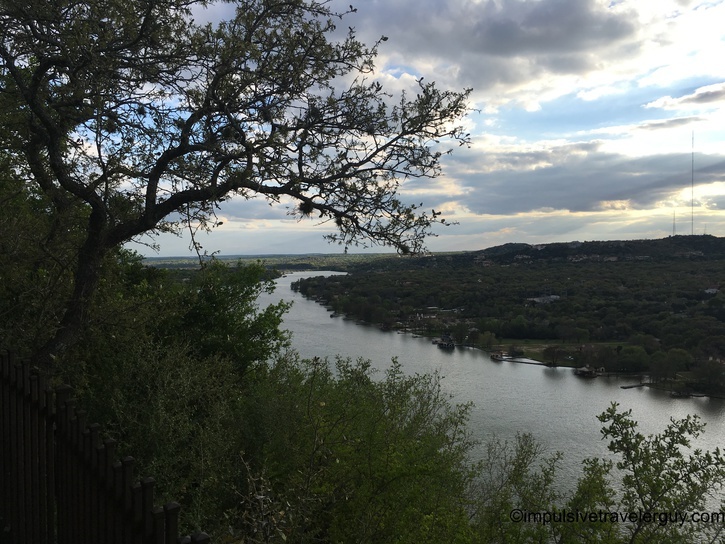 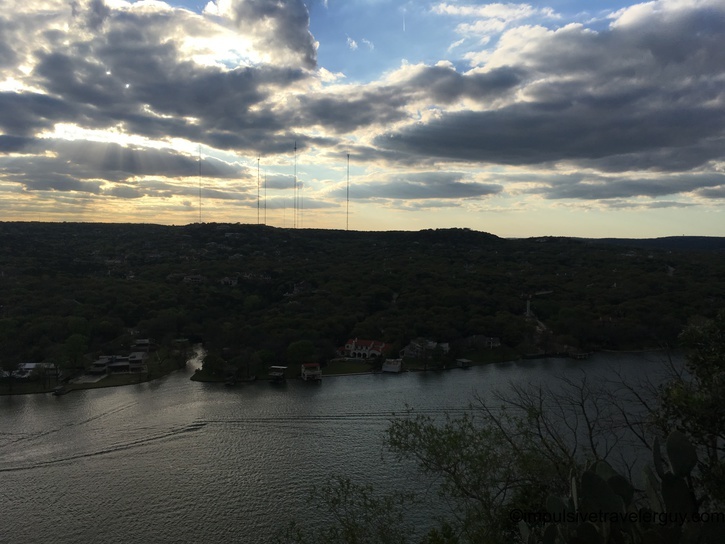 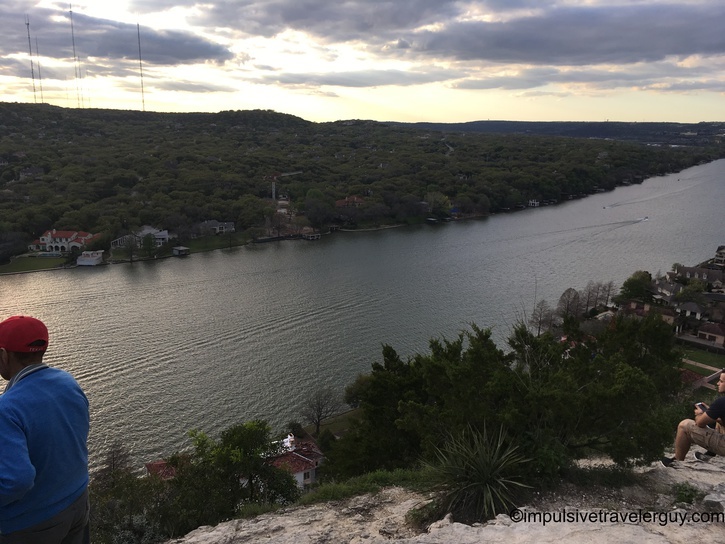 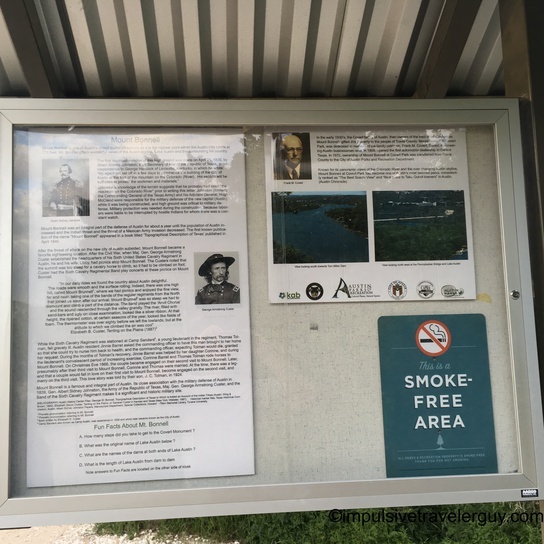 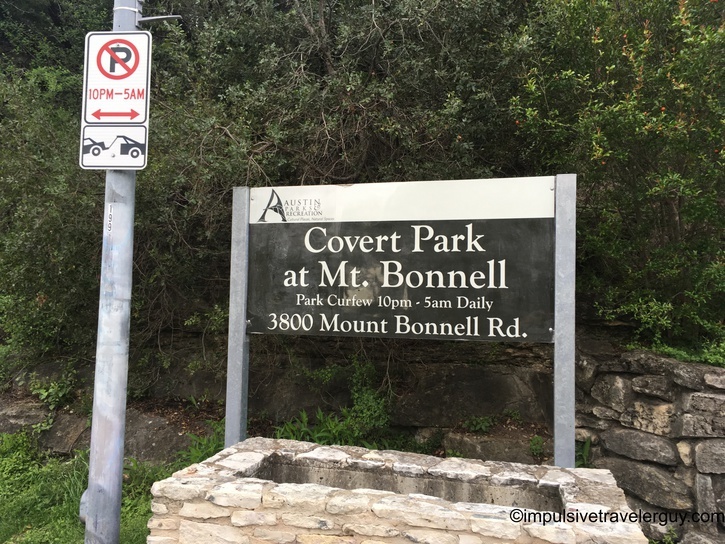 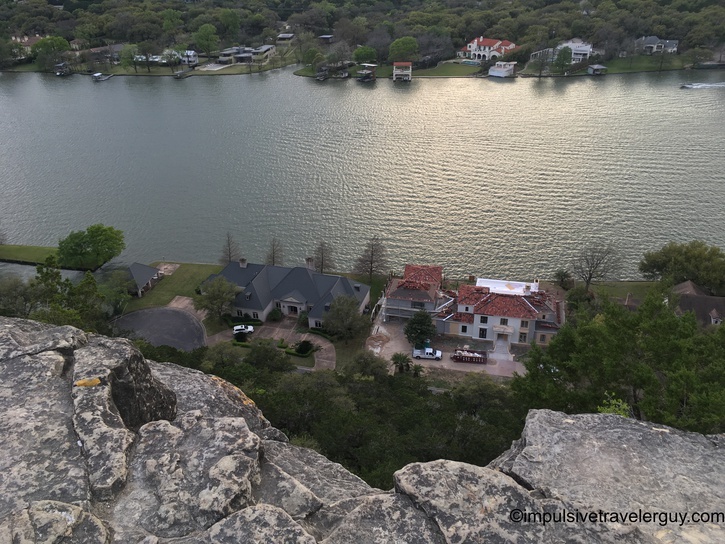 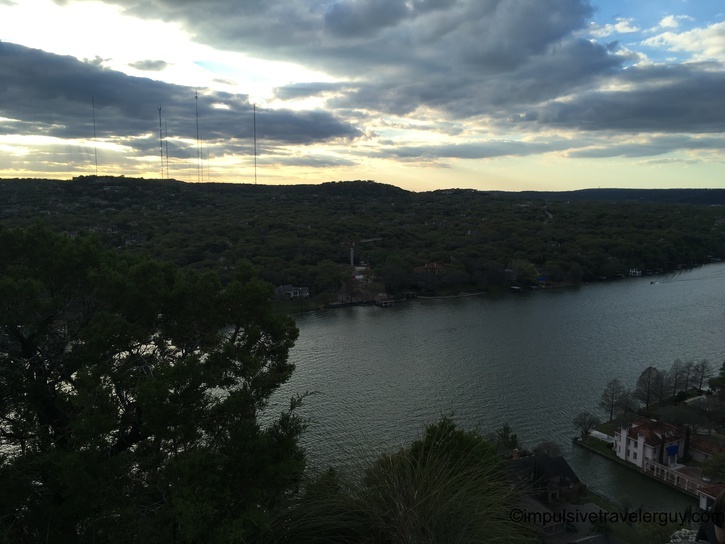 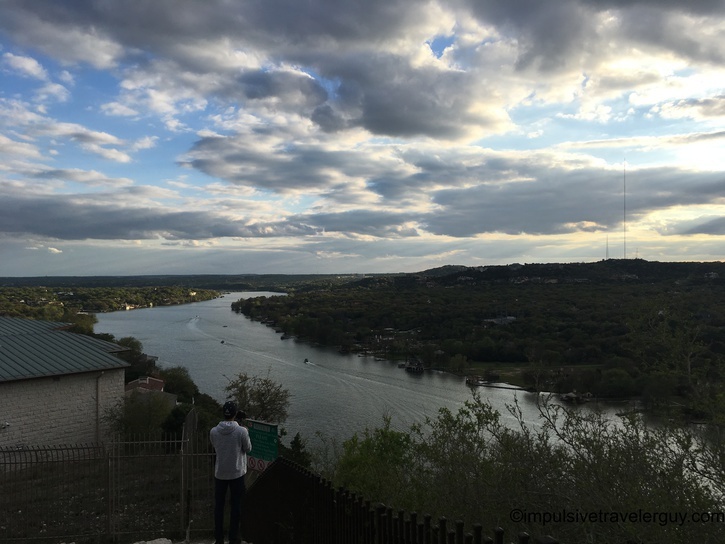 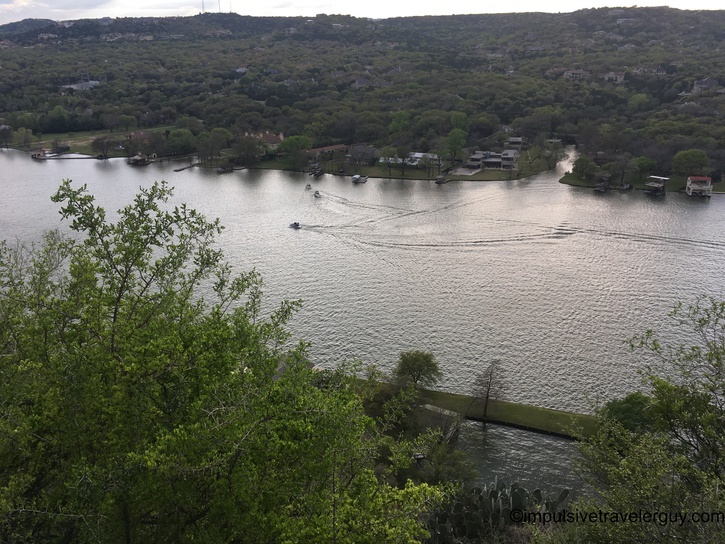 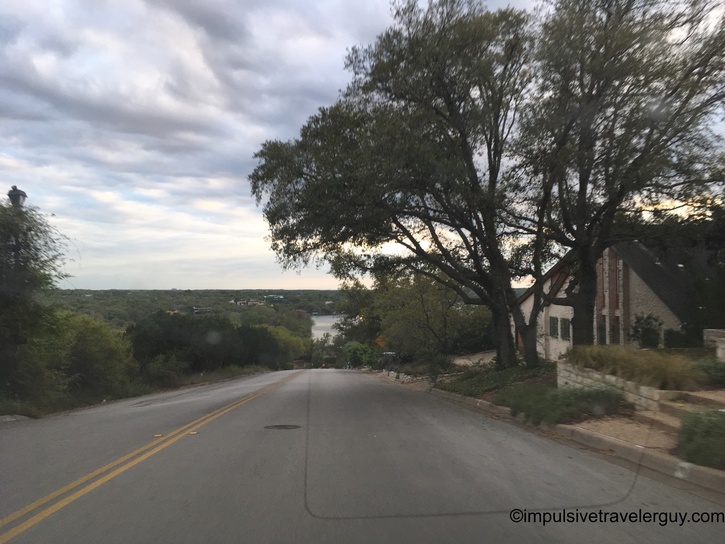 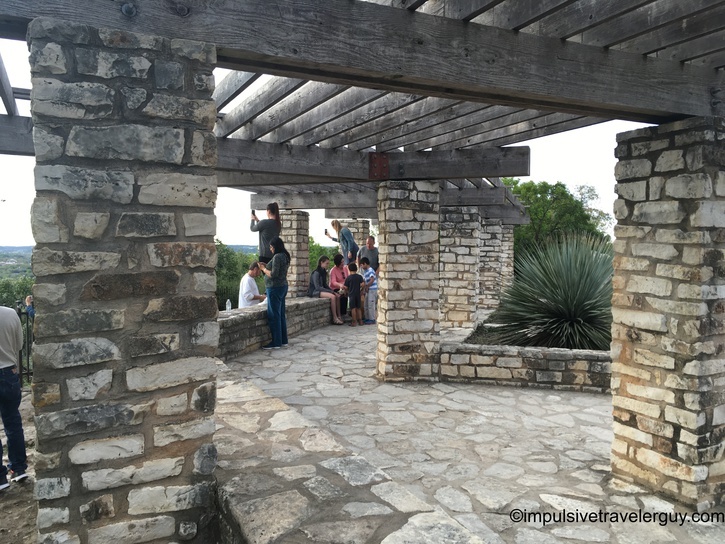 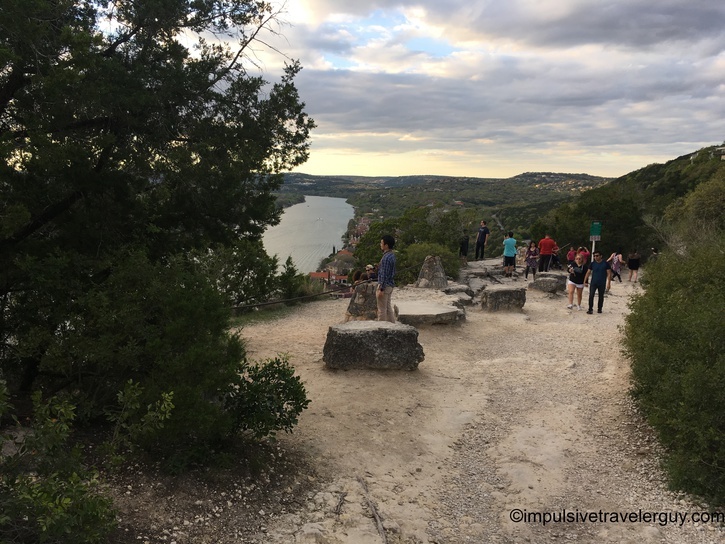 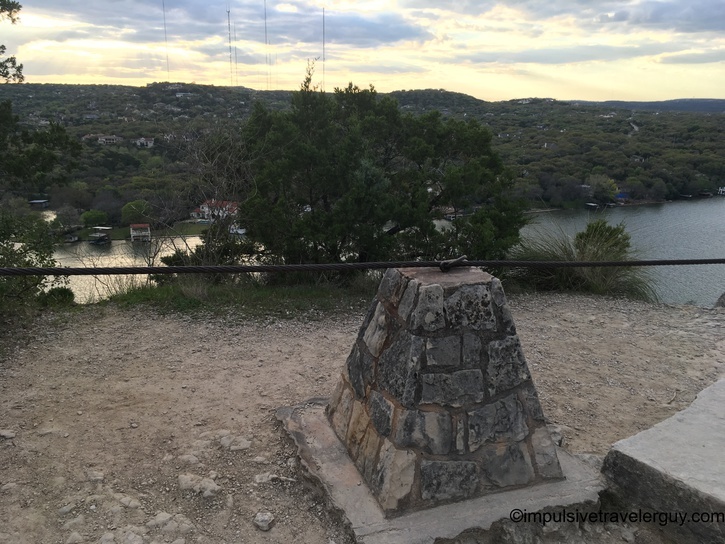 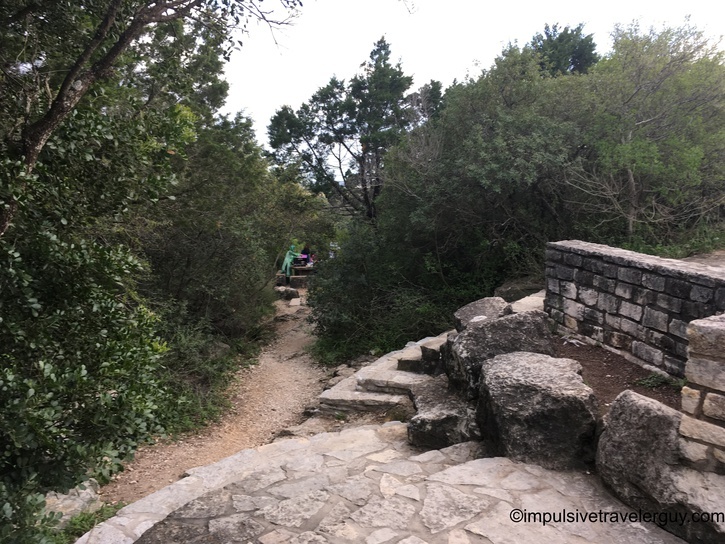 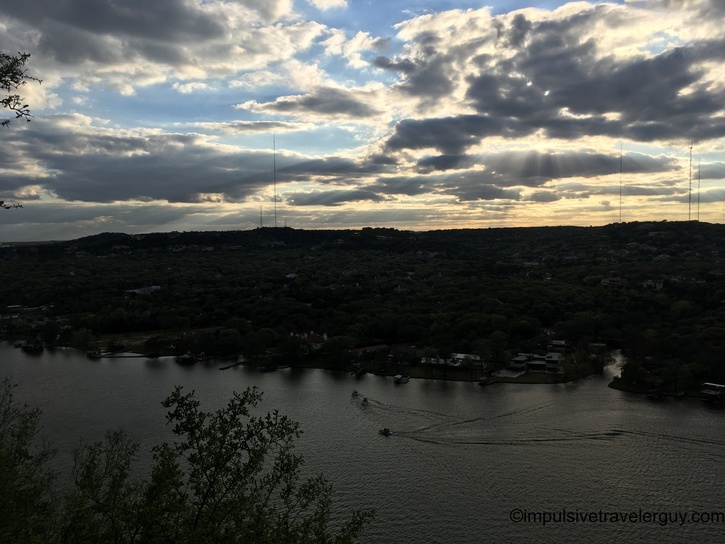 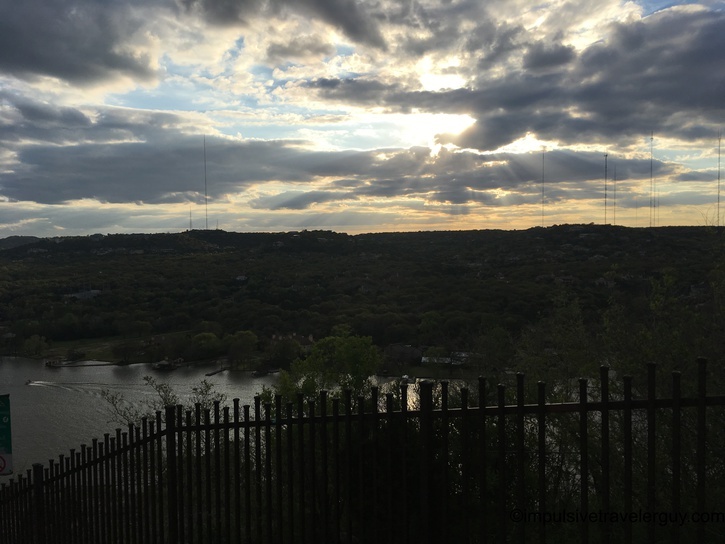 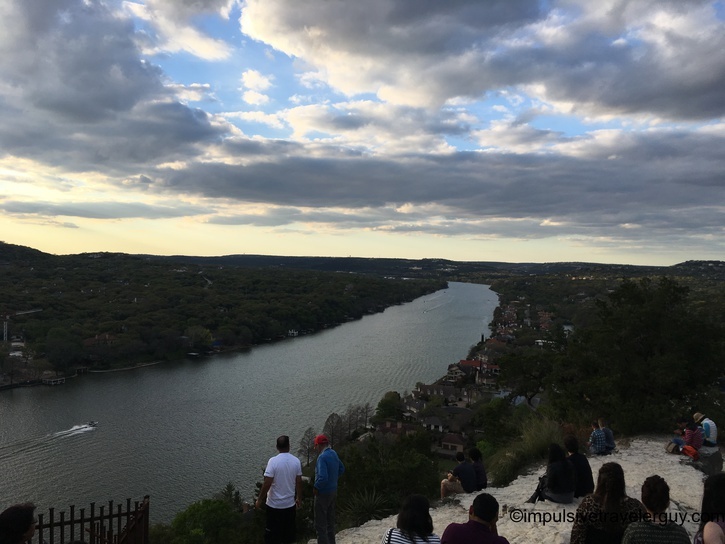 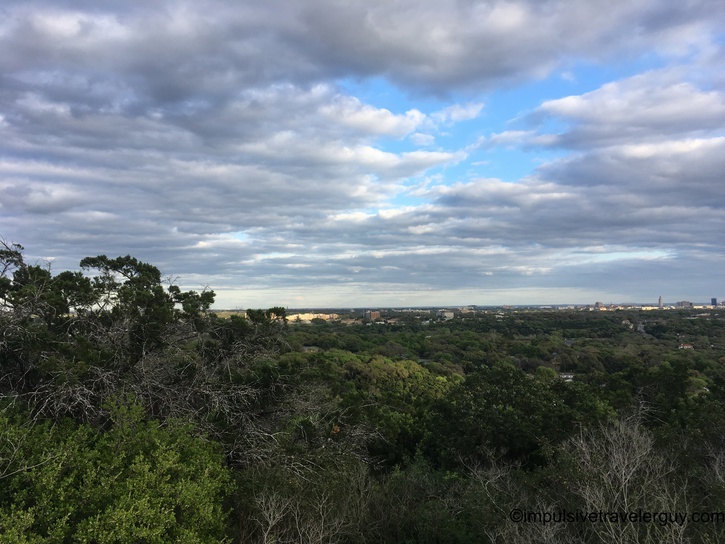 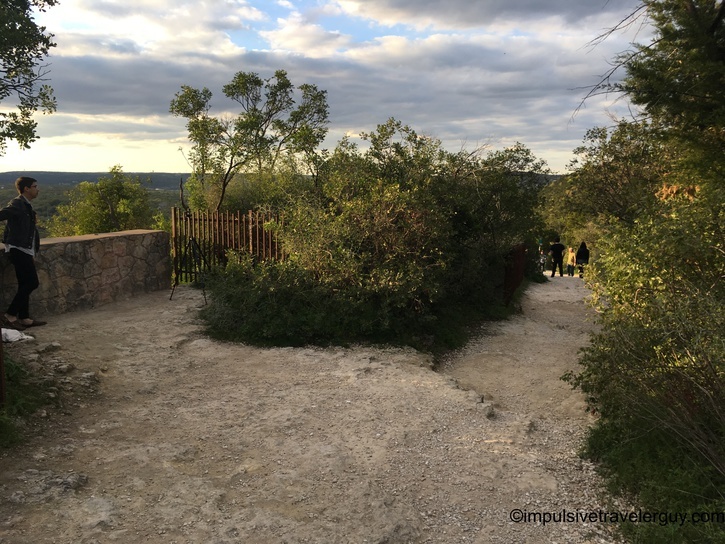 Just like Timm’s Hill is the highest point in Wisconsin, Mount Bonnell is the highest point in Austin and you can pretty much see a good chunk of the surrounding area. 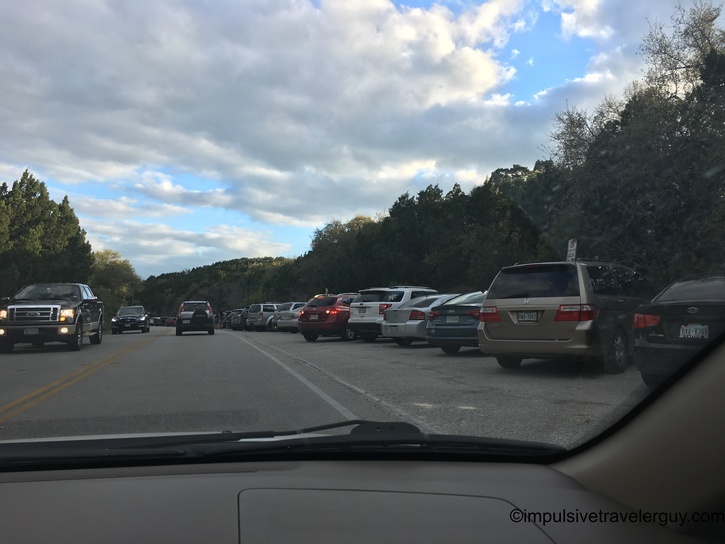 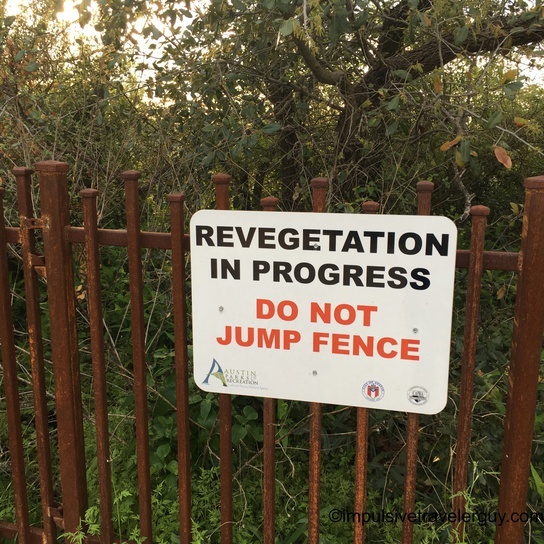 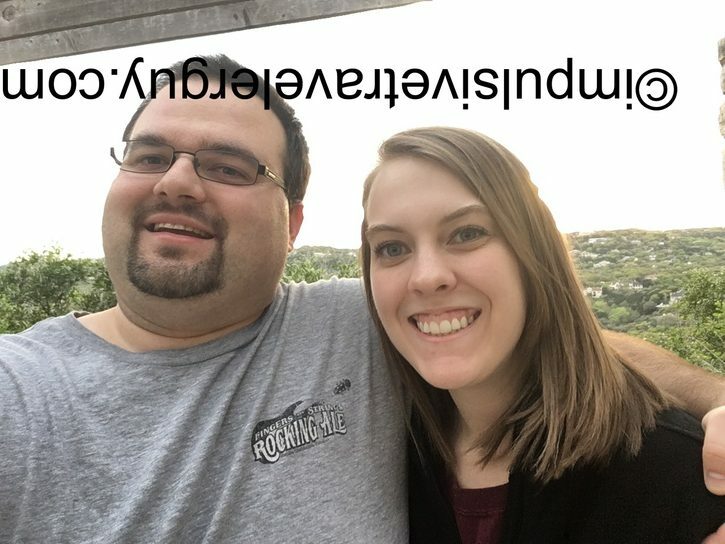 We headed there and found out a lot of other people had the same idea. 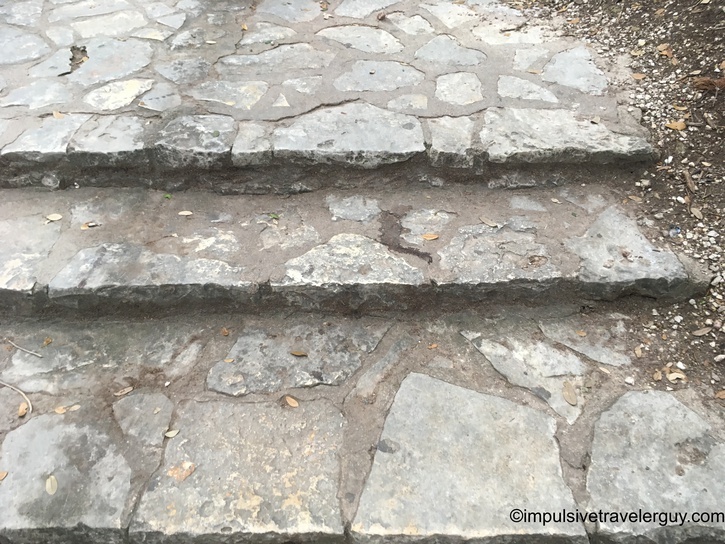 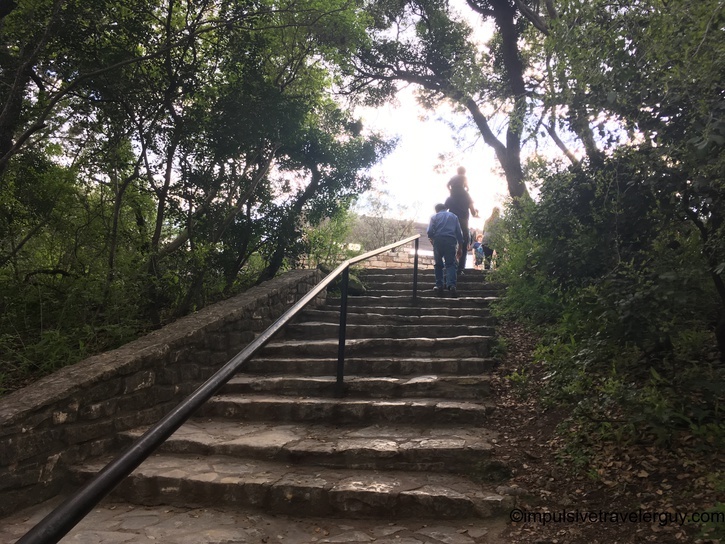 Now hiking up Mount Bonnell is actually climbing a bunch of steps. 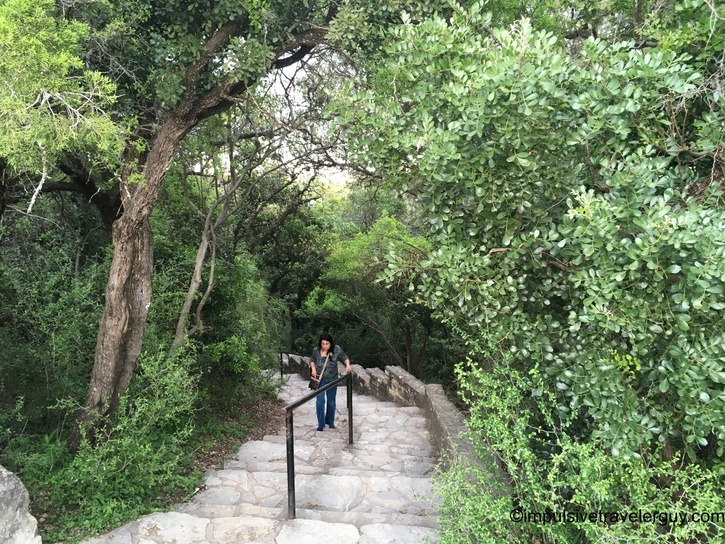 We walked over to these steps and made our way up. 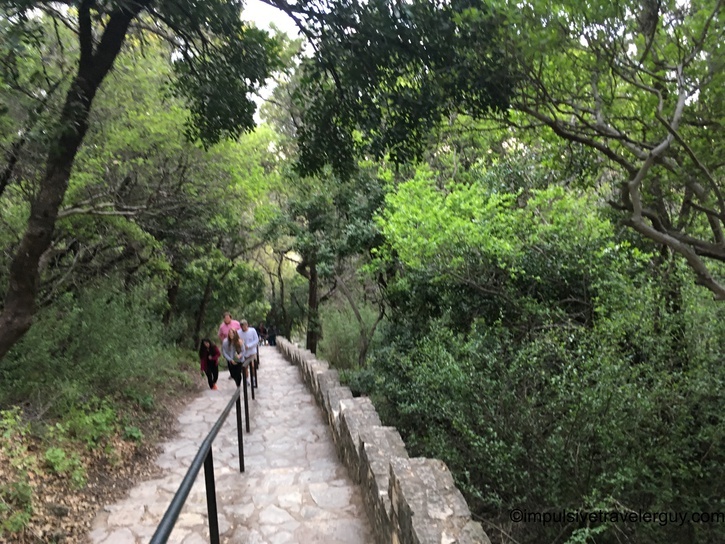 After climbing a ways, I could finally see the top! 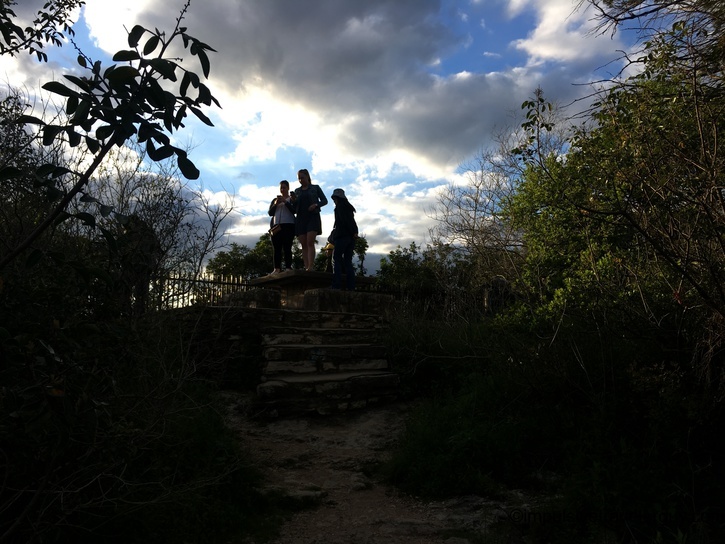 We made it to the top and I started looking around. 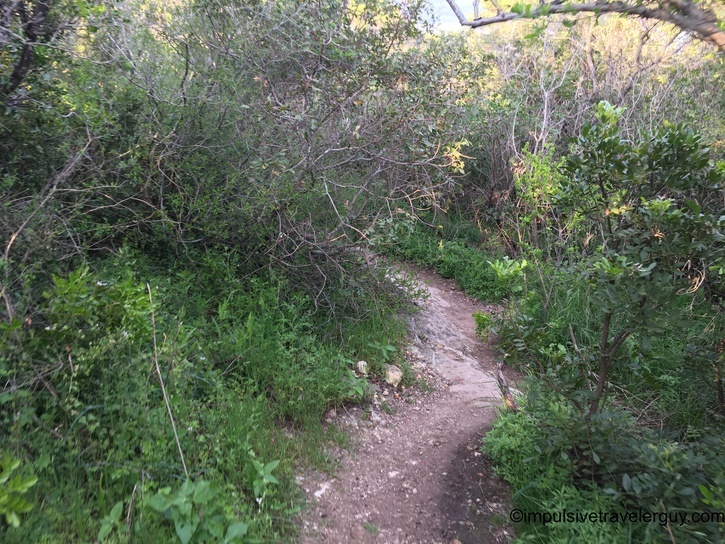 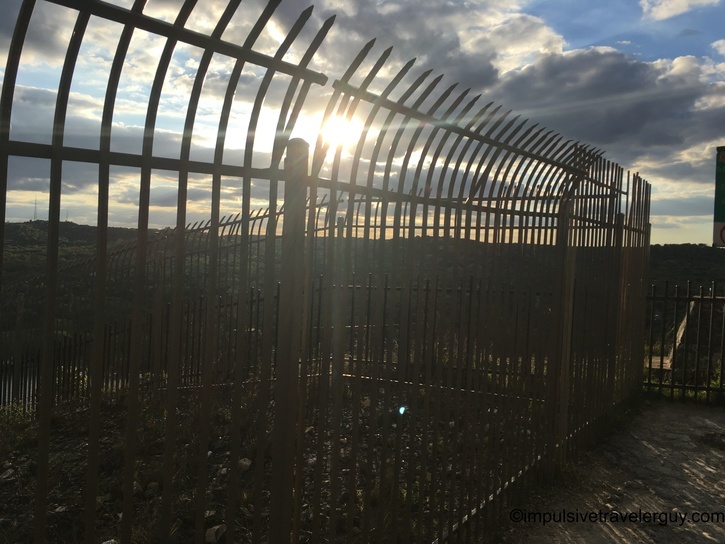 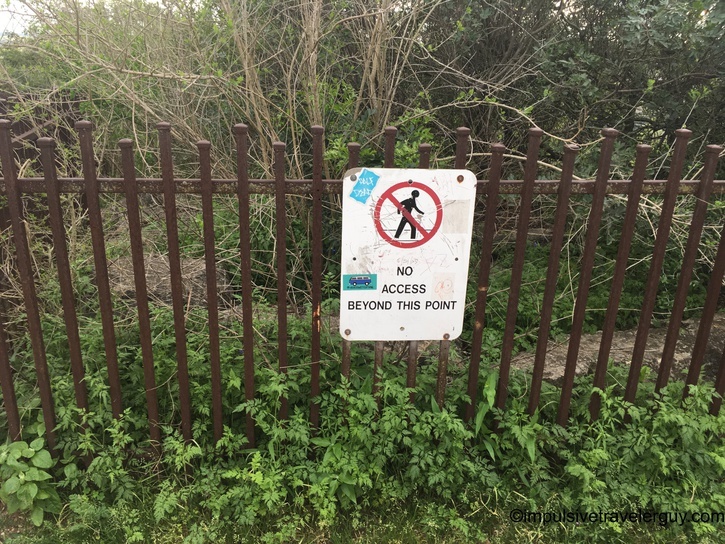 Now, there were trails that went in each direction. 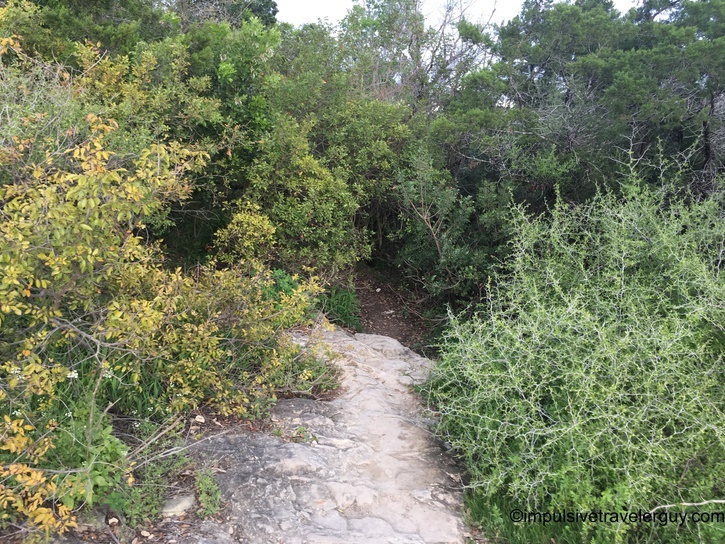 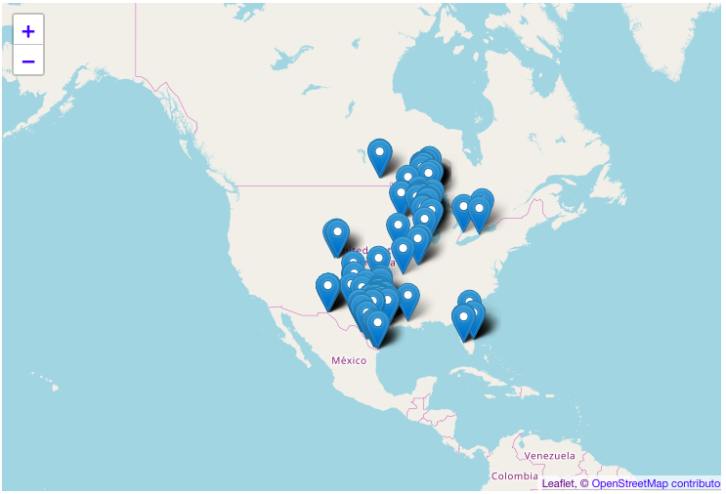 I decided to explore them. 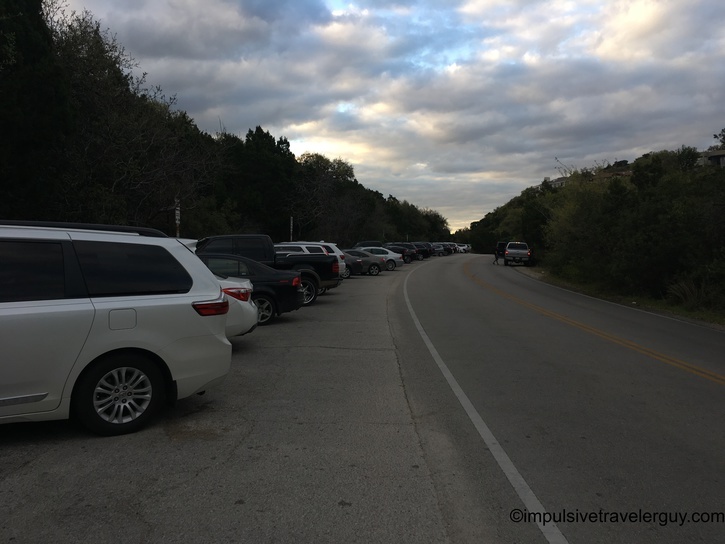 After going to the bottom of the second way, we noticed the cars were parked right there. 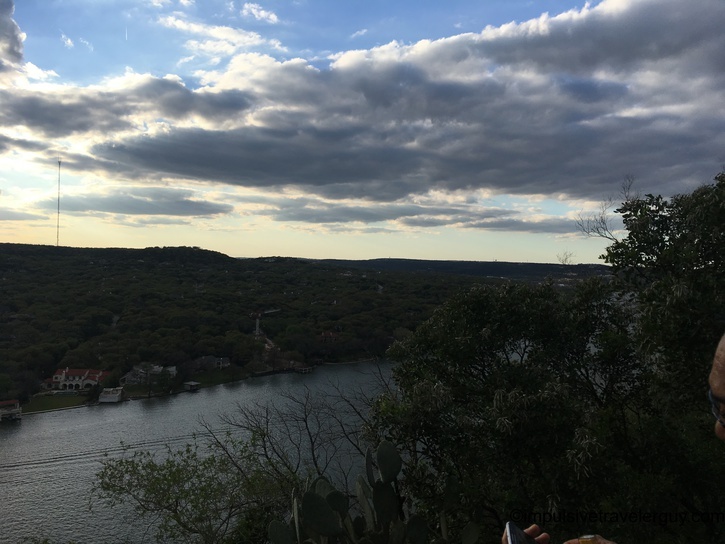 We decided to hike back up to get a quick selfie. 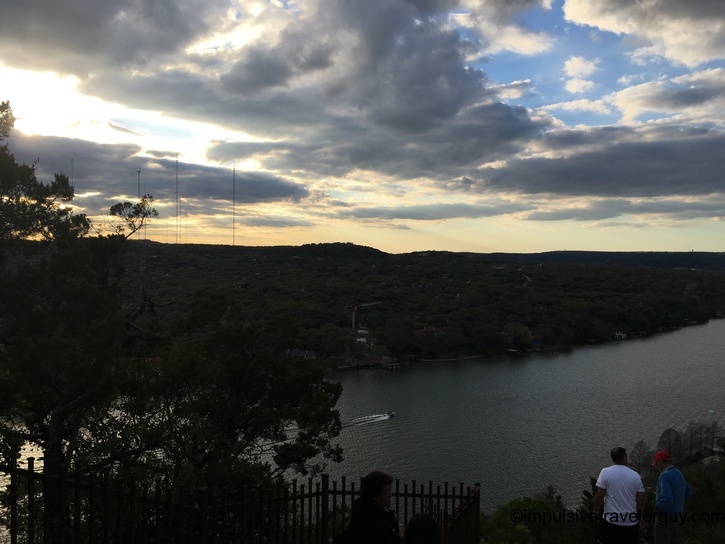 The sun was starting to set a bit more. 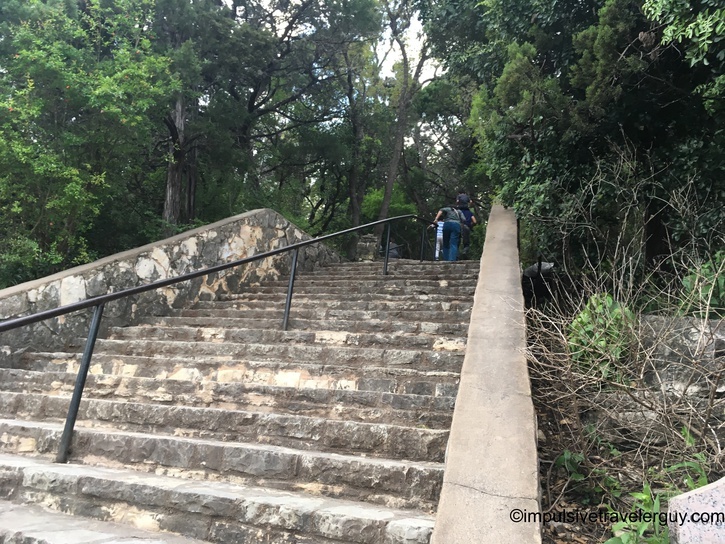 To get back to the car there was a climb back down the stairs and a walk past the row of parked cars. 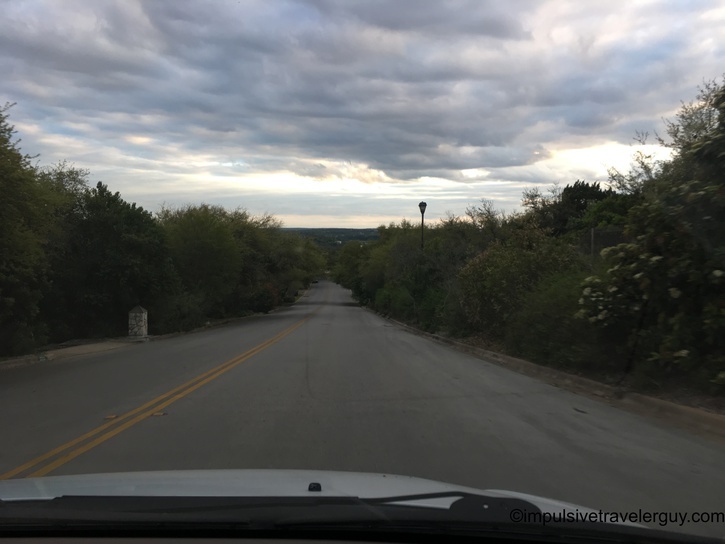 The one thing I forgot to get is pictures of the road coming up. 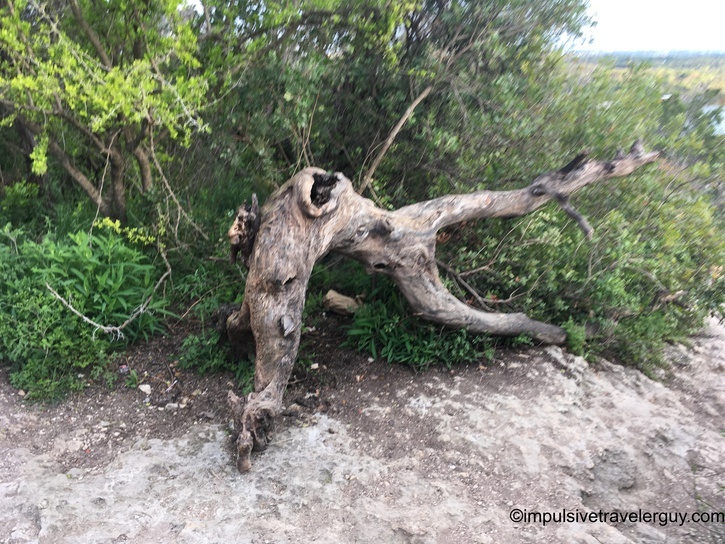 It was very twisty. 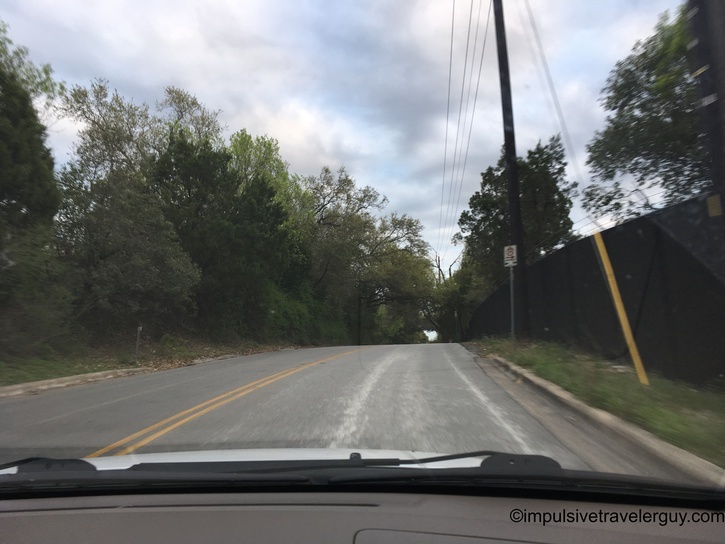 I took a few pictures of the road going down, but since we took a different way, it wasn’t as curvy. 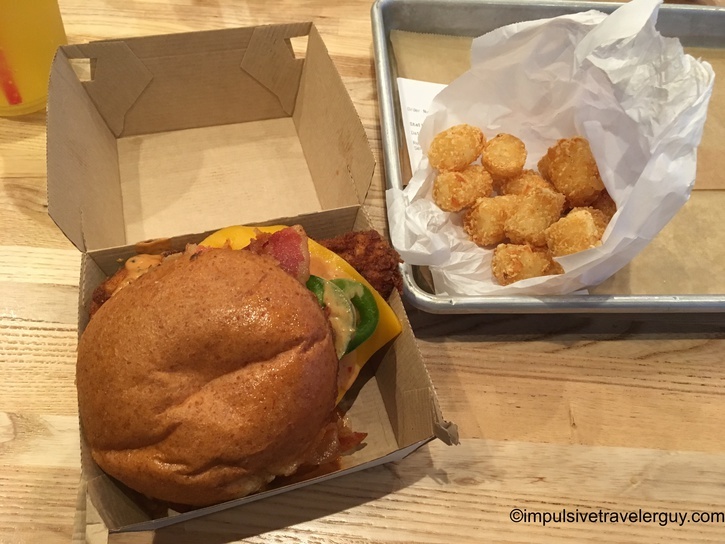 We worked up an appetite climbing the the hill, so we stopped by FlyRite Chicken for supper. 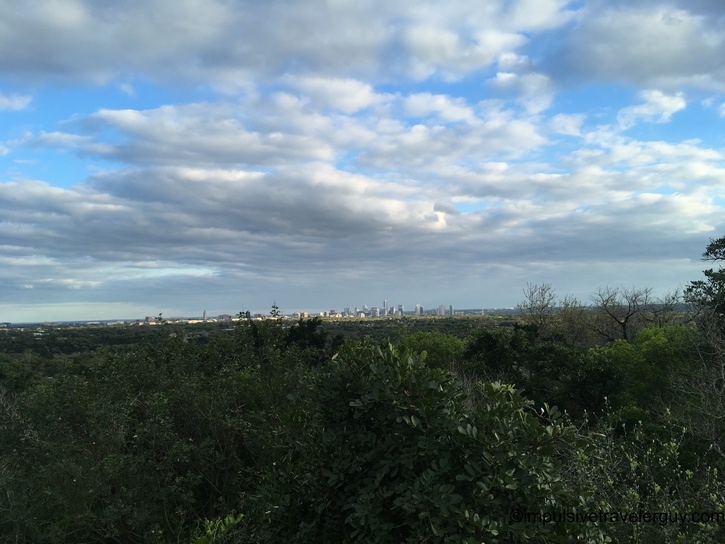 It was cool seeing Austin from this view and also getting out in nature. 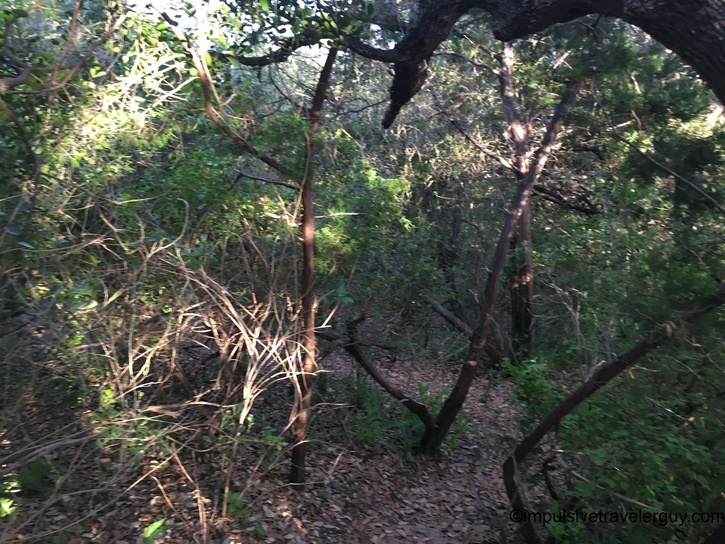 It reminds me of walking through the woods when I was younger and some of the exploring I did. 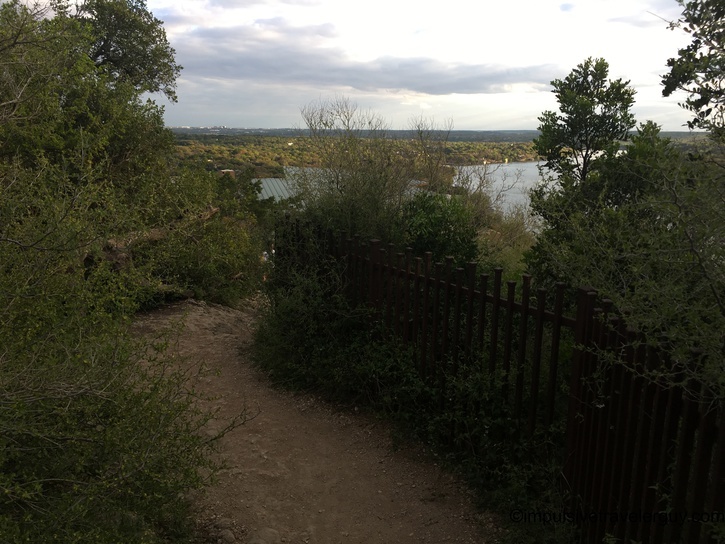 I think I might have to get out and explore a few more of these areas in Austin before it gets too hot.